WordPlay’s programs are flexible by design and can be customized to meet the needs of interested groups, whether you’re looking for a speaker to inspire your members regarding the power of language and story or a workshop for participants to explore their goals and dreams and/or learn about the benefits and rewards writing offers — mentally, physically, and spiritually. For rates and more information about how WordPlay can serve you or your group, call 704-494-9961 or email info@wordplaynow.com. * Maureen is happy to create something just for you! On this page you’ll find a range of creative offerings that can be tailored to suit the needs of your participants. Fun, inspiring opportunities to generate new writing, hone your craft, receive feedback on your work, explore the many benefits writing provides, and more. See a list of upcoming classes, workshops and retreats here. Check back often! New WordPlay is always in the works. Information and advice about writing, targeted to YOUR needs: getting started, keeping going, finding your subject matter, developing your ideas, voice, and style, determining your market, etc. And / or personalized feedback on your work, its strengths and possibilities. And / or individual support in being successful at and accountable for fulfilling your writing dreams and goals. WordPlay will work with you to establish a plan and structure that is a perfect match for you. Email info@wordplaynow.com or phone 704-494-9961 to discuss what WordPlay Coaching / Consulting could provide for your writing. WordPlay’s mission is to bring people’s writing goals and dreams to life through the magic of combining the power of play with the power of commitment, and to provide opportunities for clients to create and/or polish writing in a variety of genres to achieve these outcomes. 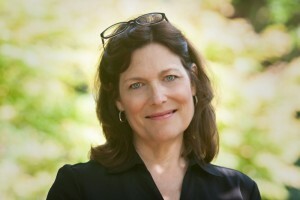 WordPlay’s services are designed and implemented by award-winning writer Maureen Ryan Griffin, who has loved words since her “Cat in the Hat” days. Maureen considers sharing her knowledge of and passion for writing both a joy and an honor, believing, as author Julia Cameron says, that “we are meant to midwife dreams for one another.” She has “midwifed” dreams for many people for more than 20 years at a number of locations, including Chautauqua Institution, the John Campbell Folk School, Queens University, Central Piedmont Community College, and a wide variety of other venues including the North Carolina Writers’ Network, civic and other organizations, women’s groups, bookstores, schools, and churches. An award-winning poetry and nonfiction writer, Maureen has also been a commentator on Public Radio Station WFAE 90.7. Her work has appeared in numerous publications, including The Texas Review, The Charlotte Observer, St.Anthony Messenger (Ohio), Potato Eyes (Maine), Kalliope (Florida), Chelsea (New York), Cincinnati Poetry Review, Catfish Stew (South Carolina), Catalyst (Georgia), and Calyx (Oregon). She is the author of Spinning Words into Gold, a Hands-On Guide to the Craft of Writing, a grief workbook entitled I Will Never Forget You, and two collections of poetry, This Scatter of Blossoms and When the Leaves Are in the Water. 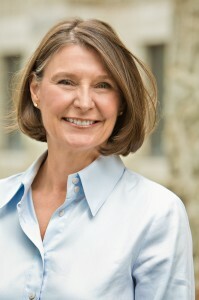 Her essay “Waiting for My Real Life to Begin” appears in Marlo Thomas’s The Right Words at the Right Time, Volume 2 (Atria Books, 2006) and her poem “Such Foolishness” is included in Thirteen (Atheneum Books for Young Readers, 2003). Read an article about Maureen’s classes, coaching, and consulting here. Read a recent Charlotte Observer feature on Maureen here.